We are self-proclaimed throw pillow addicts. We have them for every season, every holiday, and a multitude of colors. Our view is life is short, and you can never have too many throw pillows. 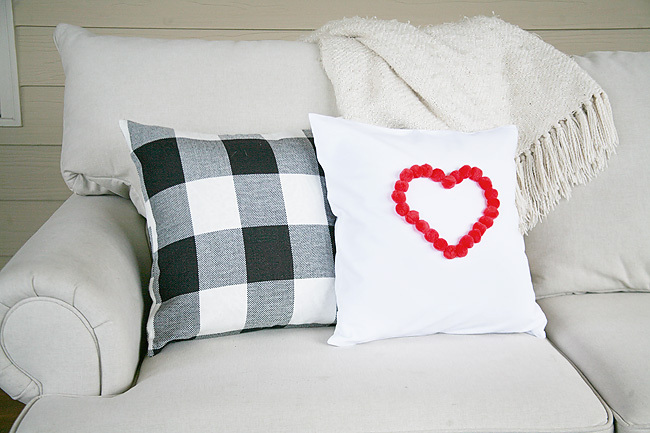 February presents itself on the calendar, and we have so many throw pillow possibilities – the biggest being Valentine’s Day. 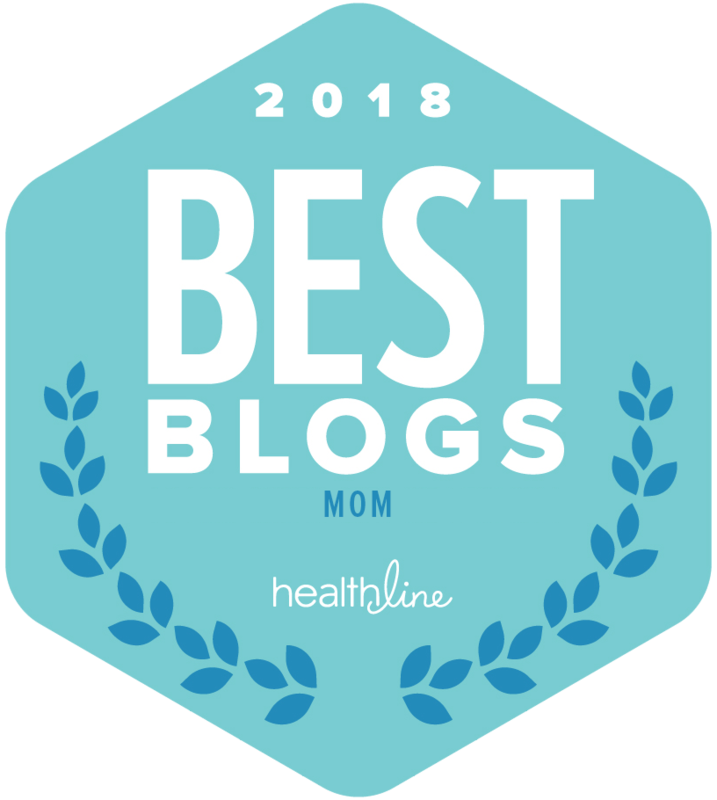 Now this little addiction of ours can get expensive, but we’ve found the trick to keeping our habits satisfied without breaking the bank on all that fluffy cuteness. 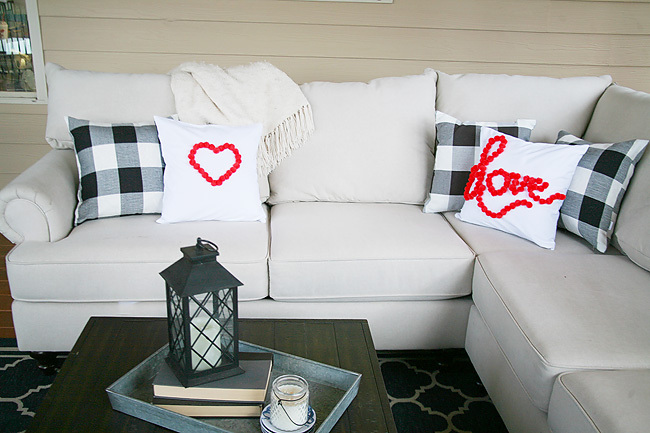 We created these adorable Valentine’s Day pillows for less than $5! That’s right – all your throw pillow dreams just came true. 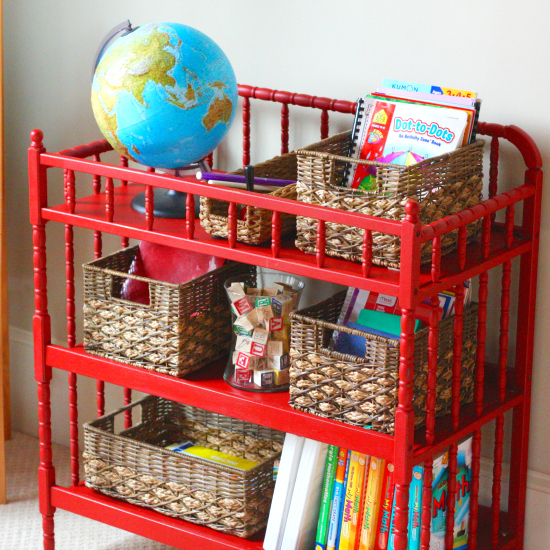 This inexpesive DIY is super easy, and (bonus!) easy to store when done! What’s not to L-O-V-E? 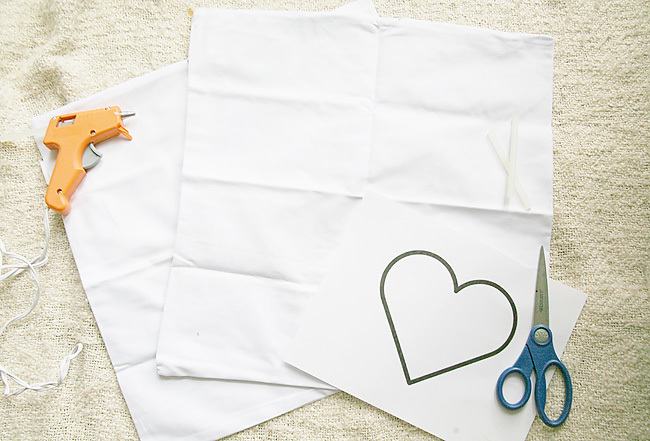 1: Before you begin your project, iron your pillow covers. It’s easier to do this before you start the project than after you’ve adhered your design. 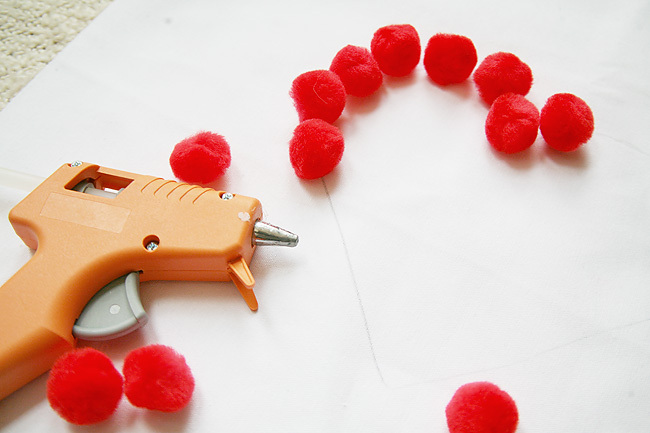 2: Plug in your hot glue gun and set aside approximately 3-4 extra glue sticks for use throughout the project. 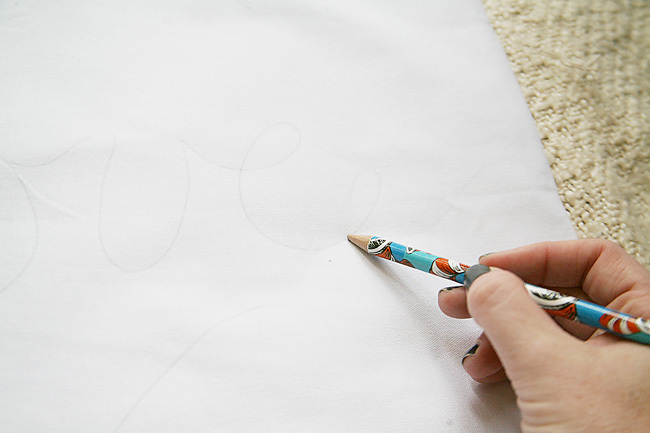 3: While your glue is warming up use this time to trace the designs you desire on your pillows with a pencil. For this project we cut out a heart we printed online and free handed the word “love”. The possibilities are endless though! 4: Begin tracing along the lines of your designs with the hot glue. 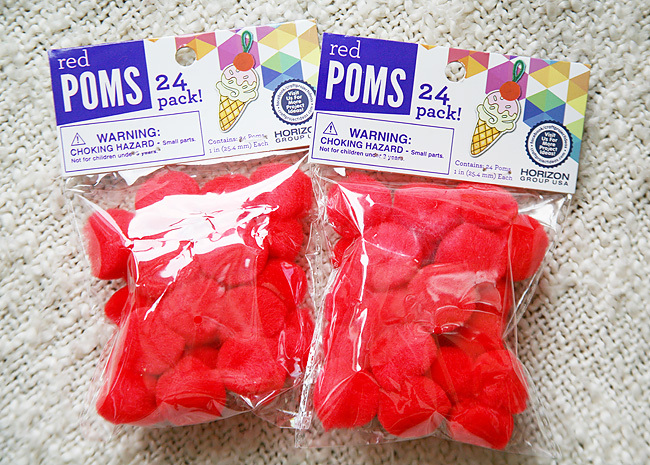 Go slowly and place down the red poms as you go. Repeat until complete. 5: Once cooled remove any extra glue. 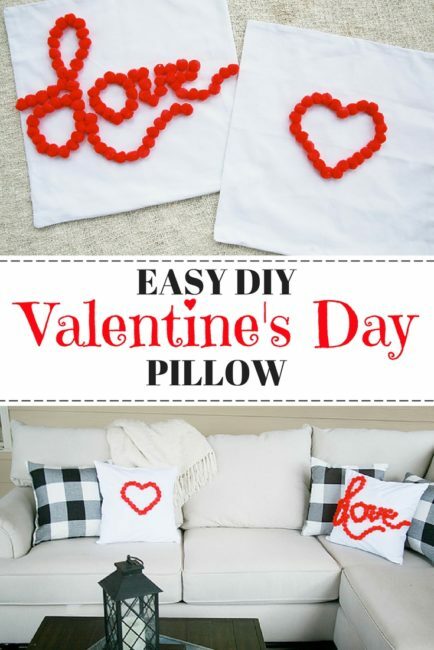 The best part about this little decor project, aside from it taking only about five minutes to complete, is that once the holiday has passed we can simply unzip the Valentine’s Day pillow cover and easily store it for next year! 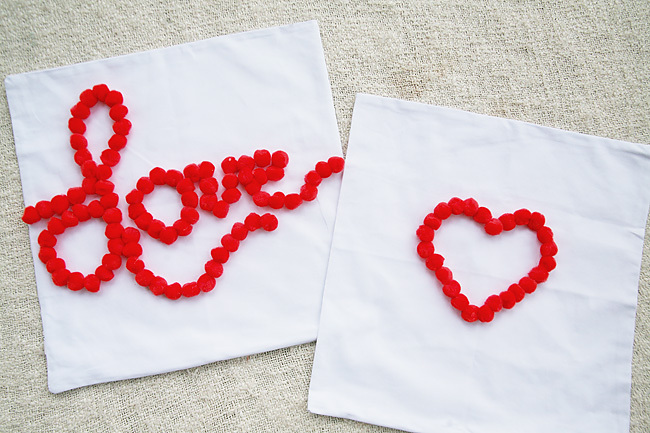 What designs will you create on your own DIY Valentine’s Day pillows? Share with us! Our glue guns are ready for a little more inspiration!